We have several Curious George fans, what's not to love about a fun little monkey that gets into a whole lot of trouble? 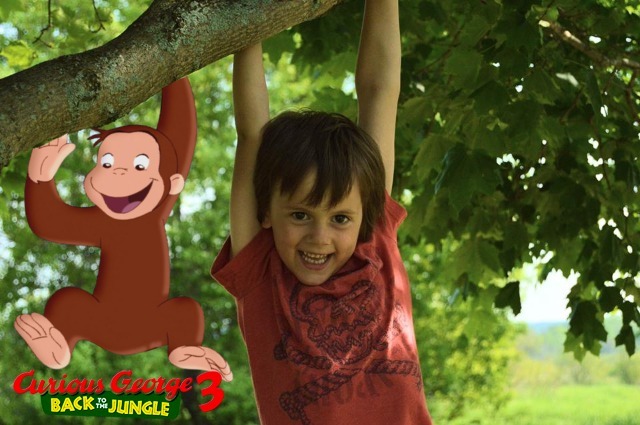 Well, if you love Curious George too get ready for the third fun movie featuring this adorable character! 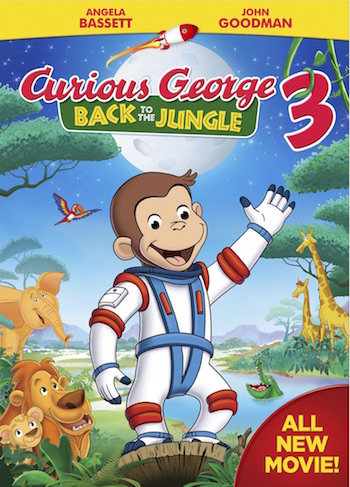 As with the previous films, Curious George 3: Back to the Jungle includes plenty of adventure and great music which make the movie fun for ALL ages! We were provided with the movie in advance of it's release so that we can share our thoughts with you! The kids loved it. We've watched it several times since we received it! It's a fun movie full of great music (music is one of the things that really draws me into a movie, so it's super important to me). The movie follows George, who is going to space! But, as with most things George does... it doesn't go according to plan. We also had a lot of fun making "photobombed" selfies with the online app (see below the photo for the link).